LOLLYPOP LORRY “Ural Station LP – debut album from Russian traditional ska/reggae band on Magnetic Loft! It’s finally here….the debut vinyl album from top Russian traditional ska band LOLLIPOP LORRY on Magnetic Loft Records! From their earliest shows, Lollypop Lorry have gained a reputation of being one of the most promising ska/reggae bands in Russia, if not the world! Their repertoire is based on their own original songs and tunes as well as the traditional Caribbean music standards — ska, reggae, dub, calypso. During the last ten years the band performed at the largest Russian festivals, visited many Russian cities, played with The Wailers, BeNuts, Markscheider Kunst, St. Petersburg Ska-Jazz Review and many others. Lollypop Lorry have fans all around the world, lead by powerful yet soulful female lead vocals, and their music can be heard on many international compilations and podcasts. Visually, the band dress sharp and excite a crowd – they are also the only ska/reggae band in Russia whose videos have more than 4 million viewers from different countries. Inspired by American jazz and The Skatalites, the band can also drop roots reggae grooves for cool late night sessions. 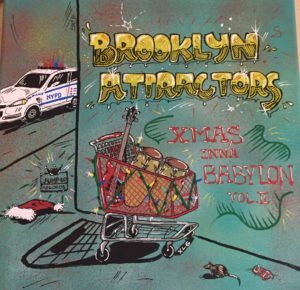 This debut vinyl album is a MUST HAVE for every TRUE Jamaican music fan! Period. Limited edition Russian imports. Continue reading LOLLYPOP LORRY “Ural Station LP – debut album from Russian traditional ska/reggae band on Magnetic Loft! 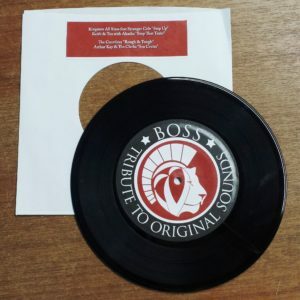 BOSS – Tribute To Original Sounds 7″ vinyl EP available now – feat Keith & Tex, Stranger Cole, The Crombies, and Arthur Kay! The wait is over! The SPECIALIZED Teenage Cancer Trust folks in the UK just released their BOSS 4xCD – a tribute to the original 60’s ska & reggae sounds. 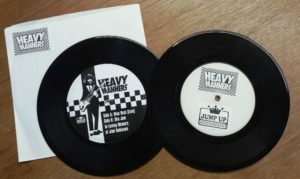 The Jump Up vinyl 7″ singles have JUST arrived – and we think this 4 song EP is absolutely brilliant!! 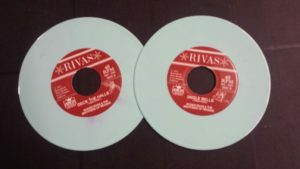 One side is on a roots reggae Jamaican tip, while the other has a 2-TONE ska 80’s flair! Limited edition of 400 each and will go fast! FYI: these will be shooting across the pond and will arrive in the UK next week where they will be available on the Specialized website! 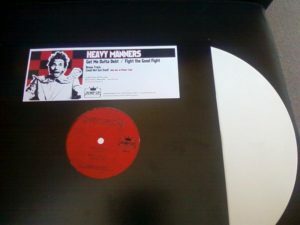 BOSS – Tribute to the Original Sounds 7″ vinyl EP (JUMPTCT11) : Kingston All Stars f/ Stranger Cole “Step Up / Keith & Tex w/ Akasha “Stop That Train” / The Crombies “Rough & Tough” / Arthur Kay & The Clerks “Sea Cruise” Continue reading BOSS – Tribute To Original Sounds 7″ vinyl EP available now – feat Keith & Tex, Stranger Cole, The Crombies, and Arthur Kay! We at JUMP UP have always been fans of the SWETONE, a unique sound that developed in Sweden that took third wave ska intensity and combined it with the UK 2-TONE style. It’s uptempo, super catchy, keyboard driven…and makes you dance like CRAZY! Think of a fast MADNESS tune slammed into punky-ska of a MIGHTY MIGHTY BOSSTONES and that gives you an idea of how catchy this stuff is. 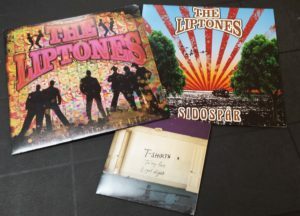 Labels like BURNING HEART developed bands like LIBERATOR, CHICKENPOX, DUCK SOUP, SKALATONES, and A MESSAGE TO YOU records started releasing albums by THE LIPTONES in 2002. We’ve restocked the brilliant 2011 vinyl edition of “THE MEANING OF LIFE”, their most recent album sung in English – the last time we got copies we sold out immediately! 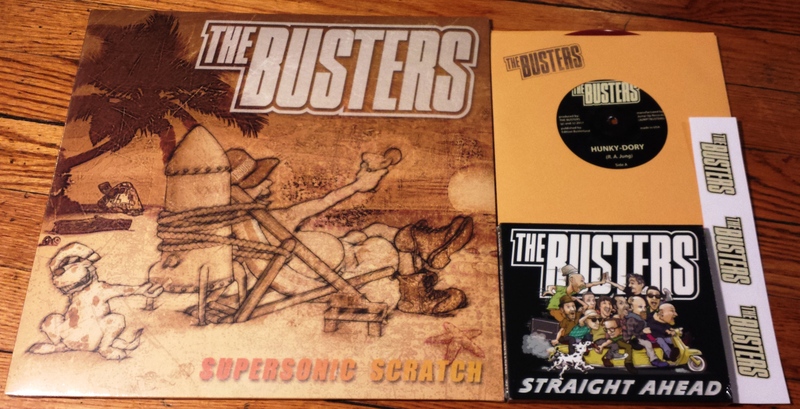 This time around we’ve also stocked their 2014 album sung in Swedish, “SIDOSPAR” – which is just as great as their previous efforts – a must for fans of THE CROMBIES, BUSTER SHUFFLE, THE TALKS, and 2-TONE in general. 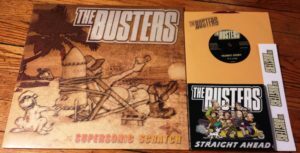 Speaking of 2-TONE, back in the early 80’s one Swedish band released incredible single after single, new wavey surf guitar ska stompers that gave the English bands a run for the money: T-SHIRTS. The band got back together and in 2017 released their first new material since 1982! 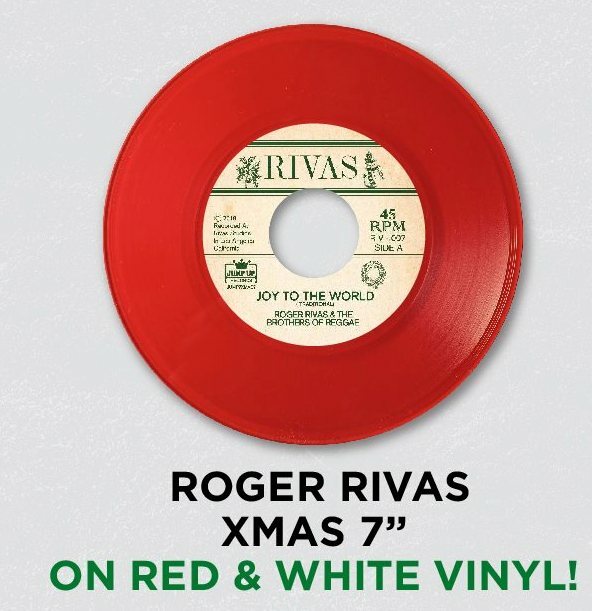 Two tracks, one a laid back reggae groover and the other a 2-TONE style gem like the good old days! BONUS DEAL: If you buy BOTH LPs from THE LIPTONES we are going to give you a T-SHIRTS 7″ single for FREE! Our friends in the SOUL CHANCE out of Bakersfield, California have two brand new 7″ singles on their new imprint OBEAH records, and we have a limited supply available now! Very nice 60’s female lead soul/reggae, “How Long Will It Take” is a cover of the PAT KELLY classic while “Why Wait” is a mellow summer reggae tune that pays homage to “Sitting In The Park”. Both 7″ singles feature instrumental versions on the flip. 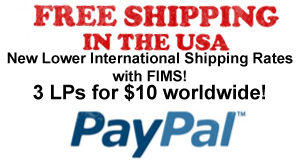 Get them before they are gone! Dare we mention that one of the SOUL STEPPERS is behind this new band? Jamaican Legends on 7″ vinyl: Derrick Morgan / Dennis Alcapone / Charlie Organaire + Susan Cadogan! Five years in the making….recorded in Chicago on three separate occasions, our split release with Happy As A Lark is finally a reality! In 2013, Derrick Morgan performed in Chicago for a Jamaican Oldies showcase at Mayne Stage. We asked Derrick if he was interested in recording a song while he was in town – and to our delight he said YES! Anthony from The Drastics had a country-reggae-ska themed project in the works under the alter-ego TECTONICS, he produced a version of the 1950’s Webb Pierce classic “There Stands The Glass” and suggested that Derrick Morgan would be a perfect fit. When we played the backing track to Derrick over a cellphone, he immediately knew the tune (of course!) and got excited to be part of this wonderful project. 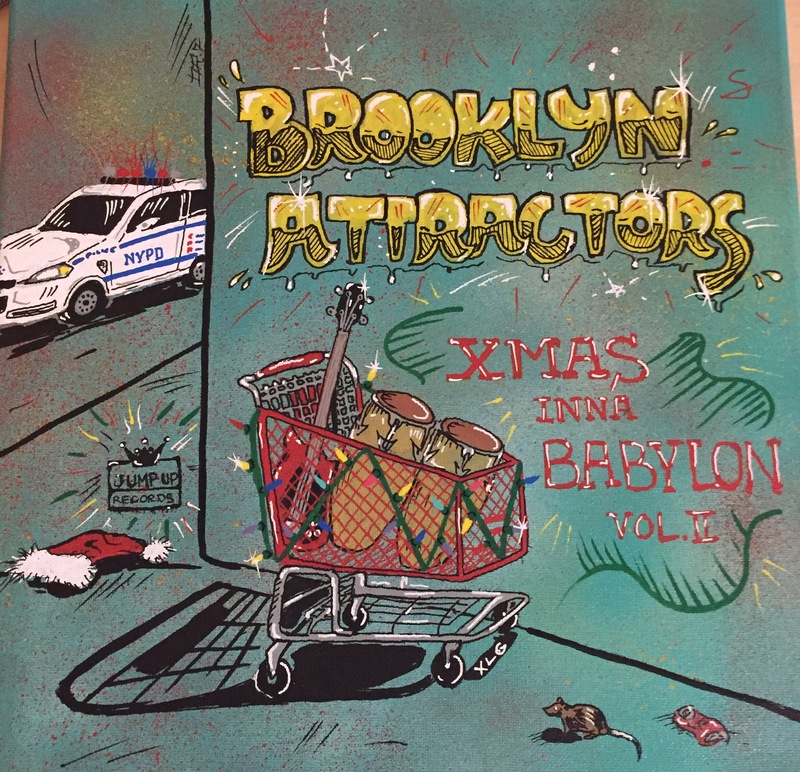 A year later we brought in Dennis Alcapone to Chicago for a Jamaican Oldies showcase – we thought to ourselves…let’s recreate those old 45s and have Dennis chat over the song that Derrick recorded a year earlier! A true DJ version on the flip! The project got shelved for a few years… but in 2018 Charlie Organaire went into the studio to play harmonica on the tune. It was finally complete! 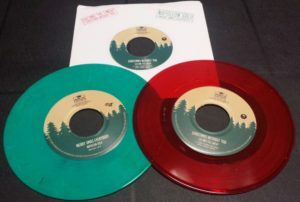 A very limited initial pressing is now available from Jump Up and Happy As Lark – we each have an exclusive color. Our copies are a golden yellow and it’s limited to 100 copies. 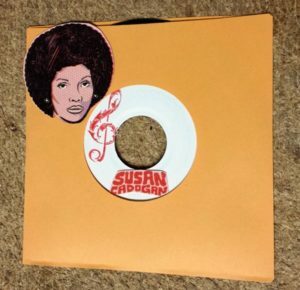 Not to be outdone is a new DJ promo limited edition 7″ single from lovers rock pioneer Susan Cadogan! Last year we released the extended vinyl version of her latest project produced by Mitch Giro. This new 7″ single featured two brand new tracks produced by Mitch – a gentle ska groover called “I Don’t Want Anybody But You” b/w a cool rock steady ae jewel called “The Girl Who Cried Over You”. Limited to 100 hand-stamped copies!